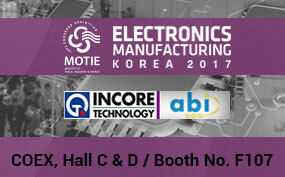 Electronics Manufacturing Korea (EMK) has been nominated and certified by MOTIE as an international exhibition for 6 consecutive years and it is Korea’s largest electronics manufacturing exhibition. If you are in Korea and want to find out more about ABI systems go to BOOTH No. F107, COEX, Hall C/D.